It’s officially summer here in our house and we couldn’t be happier!! 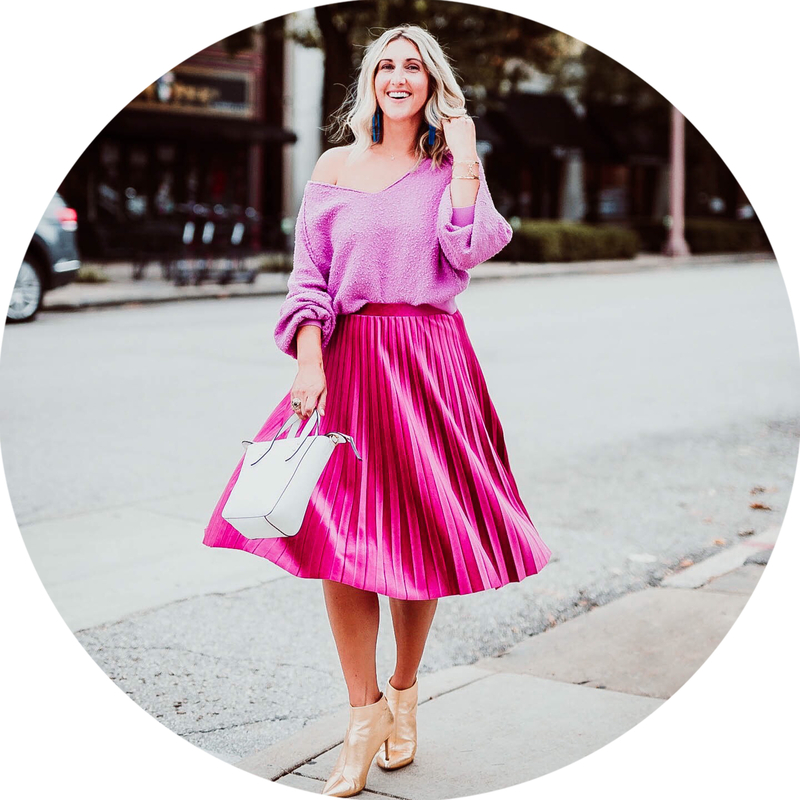 We have already checked some things off our summer bucket list and thanks to Evereve, I’m rockin some darn cute pieces to live summer to the fullest! Today was all about being outside and hanging at the park. We live in St. Louis, and we have an incredible park in the city with SO much to offer. It has the Zoo, Art Museum, Muny, multiple lakes, and so much more. I feel incredibly lucky to have such an amazing place right at our disposal. Y’all. How cute is this skirt?!! I walked into the store and stopped immediately and knew this was coming home with me. The boho vibe is right up my alley for summer. I love the high low hem and the black and white pattern is too cute. 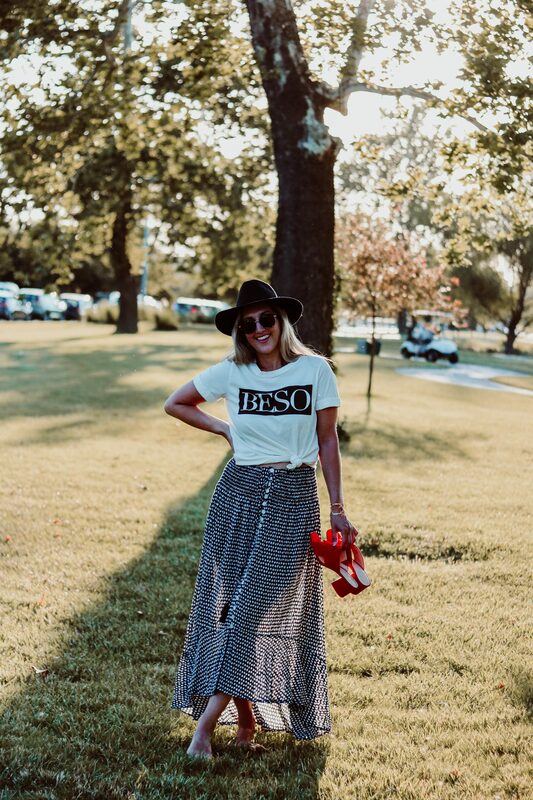 I paired it with this Beso tee and Beso means kiss, so naturally I had to get it! I’m all about kissing the babes in my life 😉 I don’t like to fuss a lot with my clothes in the summer. I need pieces that are flowy and easy. It’s too hot for anything else. Evereve is killing the summer game right now!!! See below for details of this outfit and other things I’m loving from there at the moment. I had to add a pop of color to my outfit, of course, so I brought these red little cuties but didn’t even end up wearing them! We spent the whole day in the grass and had the best time. What is on your summer bucket list?? Let me know in the comments! 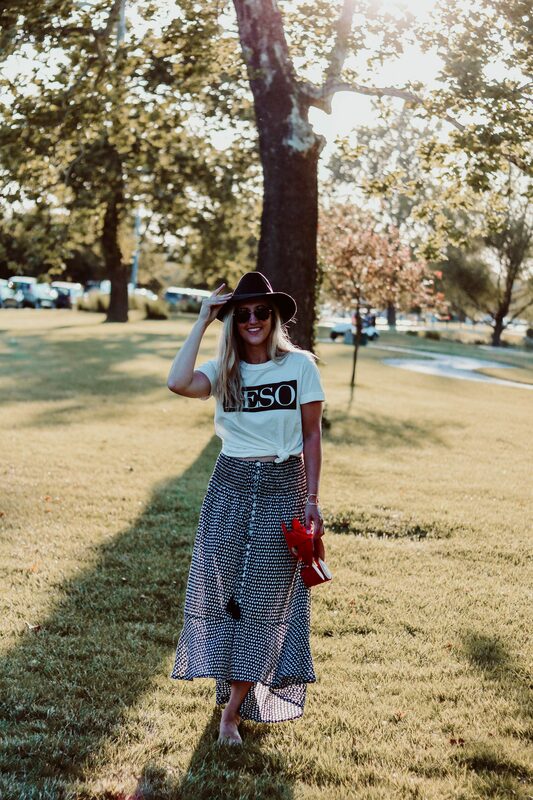 I’m all about skirts this summer! I love the pattern on this skirt! It’s so pretty! I love the pop of red with the shoes too! This skirt is so pretty and it’s perfect for summer! Love also that you paired it with white top. so cute! This outfit is so cute babe! 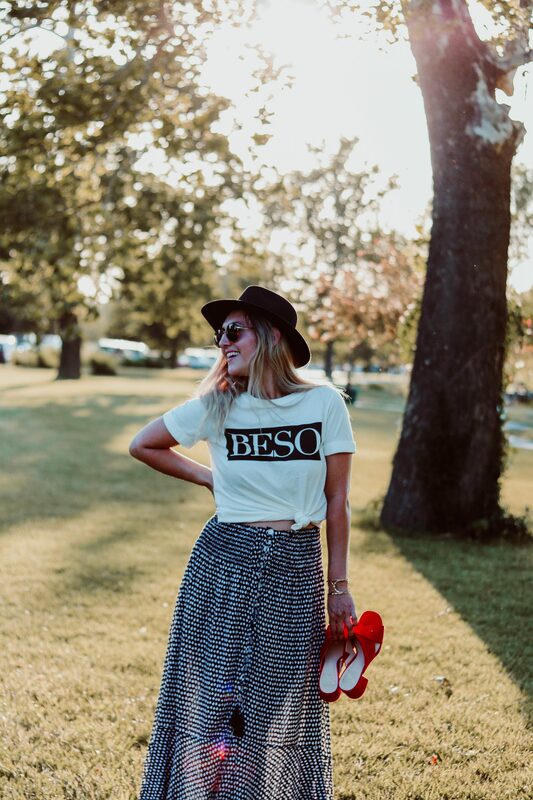 I love how free and happy you look, and love this skirt. This graphic tee is so adorable. 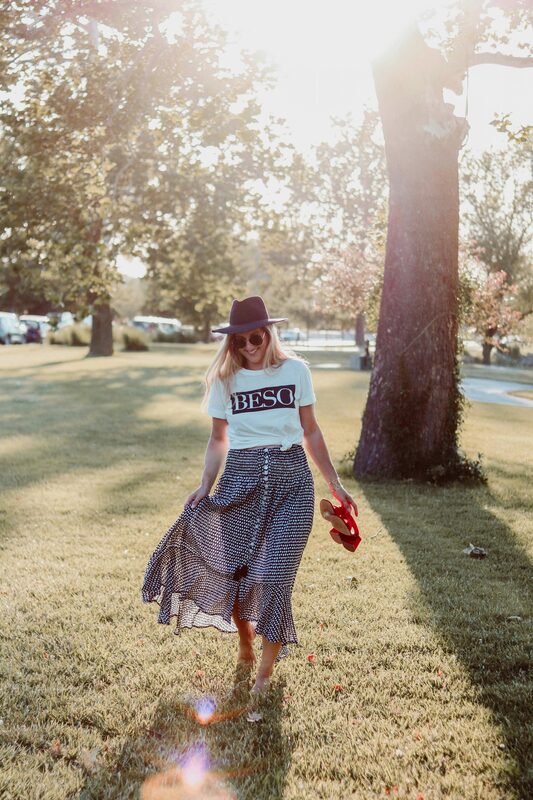 Love your tee and skirt! Such a fab look! Gorgeous!! This is such a cute summer look! That skirt is seriously my favorite! I love the length and the cute print! Omg I’m obsessed with this look!! Love it all – especially the pop of red with those cute heels!! Can I have your whole outfit cause girl!! This is so cute! This outfit is so chic. I love the pop of red the slides give this look.